Today i am joined by my lovely wife Susan and Cookie, we parked one car at Bosham and the other at Nutbourne, so it was going to be easier on getting to and from the trek. On leaving the car at Nutbourne we walked down the short footpath to the harbour and picked up from where i left off on the previous leg. 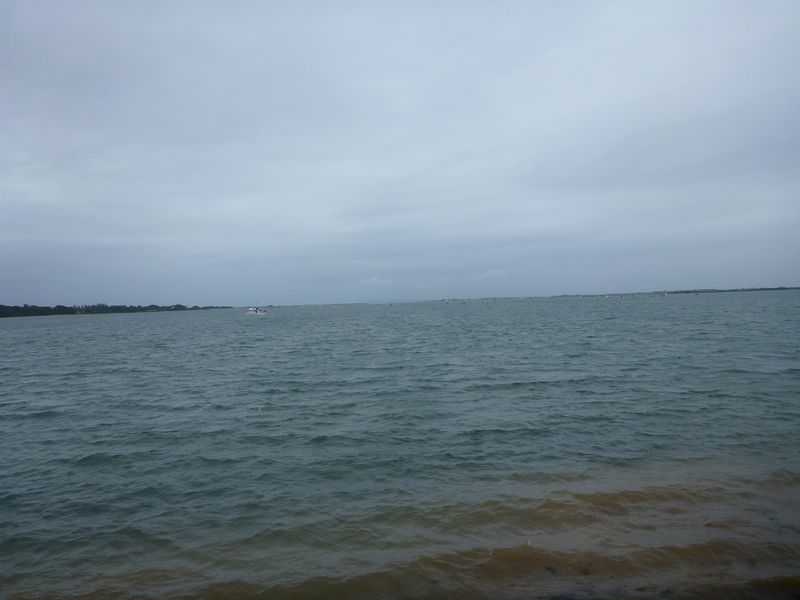 The weather today was overcast with the threat of rain all day. 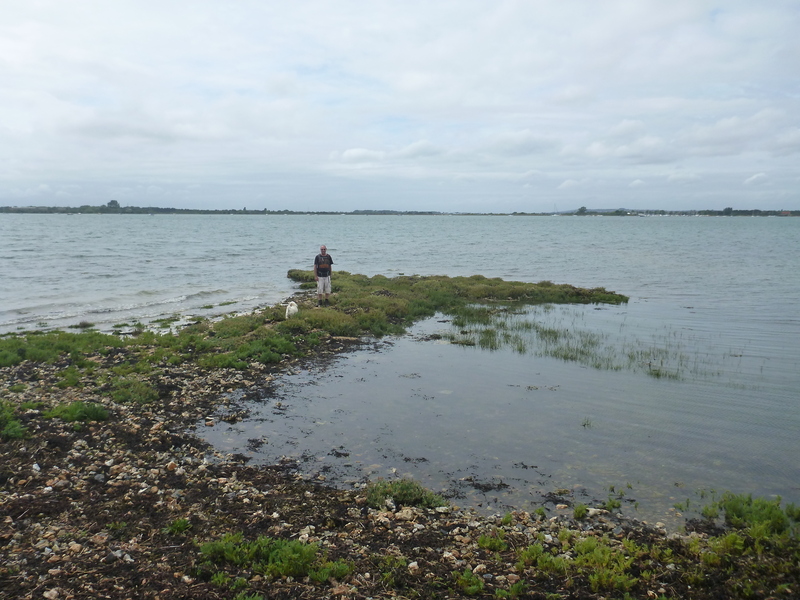 We would be walking today around the Chidham Peninsula to Bosham. 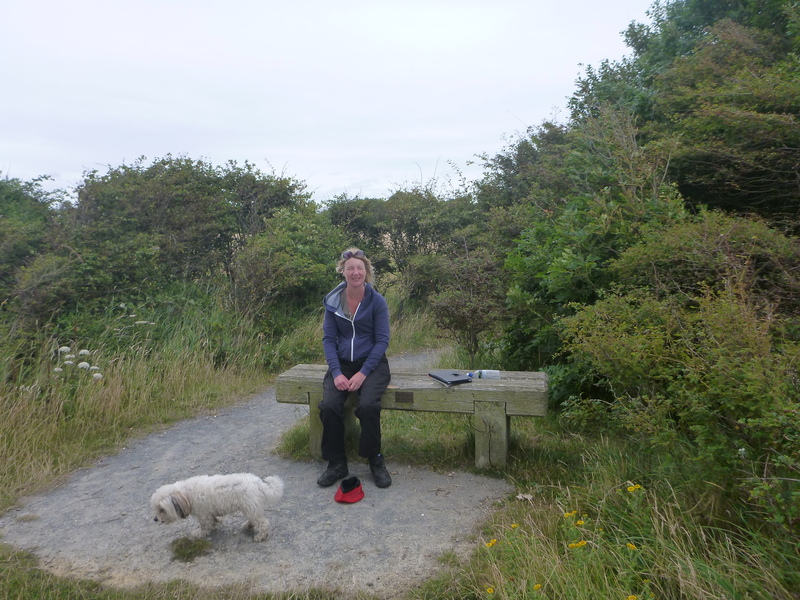 The start of the walk was on a well made up path that was very easy underfoot that started to take us around the western edge of the Nutbourne Channel. A couple of fisherman that had not caught anything were on this stretch too, one was quite chatty and it was great to hear about his fishing and catching flounders from the harbour, he also talked about the resident seal in the harbour that had had an impact on his fishing. The path further forward from here was very eroded and quite overgrown with long grass, which made the easy walking quite a bit more difficult, there was an alternative route which was easier but would have cut quite a bit of the coast out. 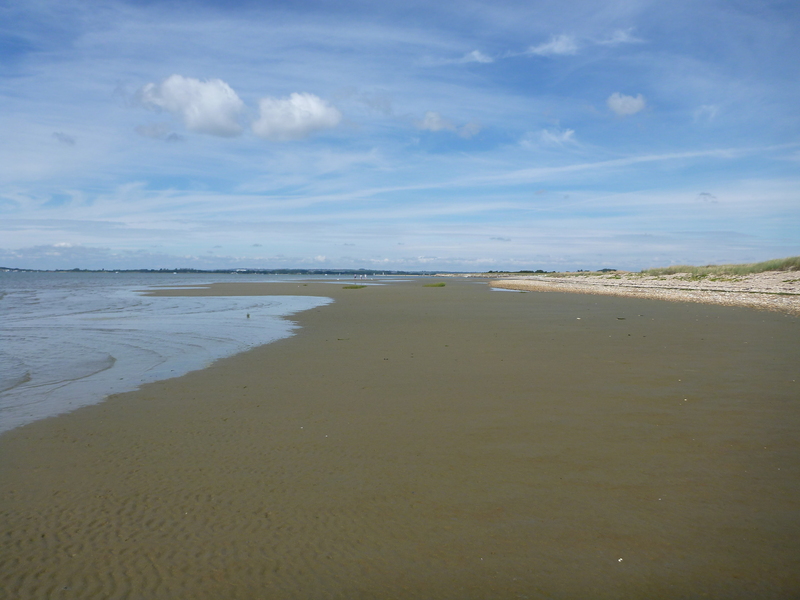 The tide had been coming in as we walked along the shores of Chidham Peninsula, which as we soon found out, this was not to be a good thing. As we approached the south western point of the headland we met with some woods that went right to the high tide level which meant that our route around the coast was now thwarted, we had to head inland along the edges of the fields, which was not a recognised route, fortunately though we found a way through and came back out on the shoreline at Cobnor Point. 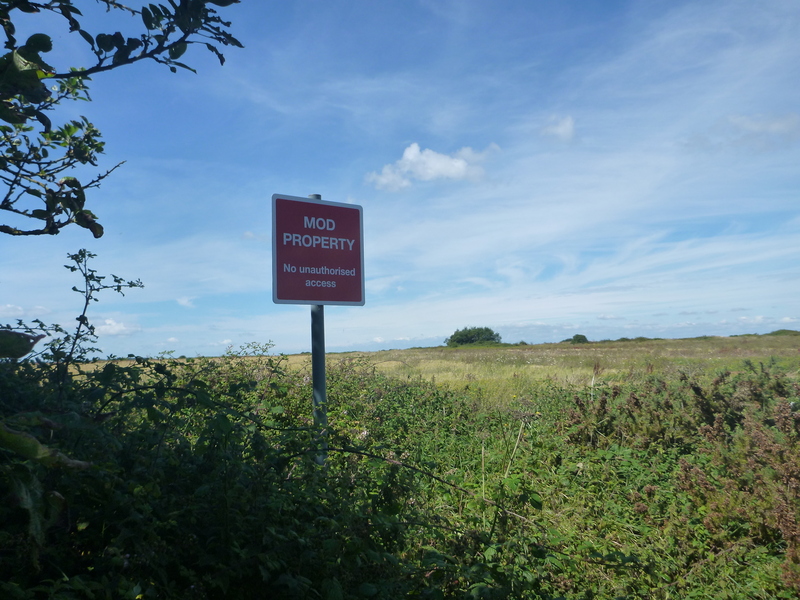 This we also found out was not a short cut as we had to follow the edge of the fields. 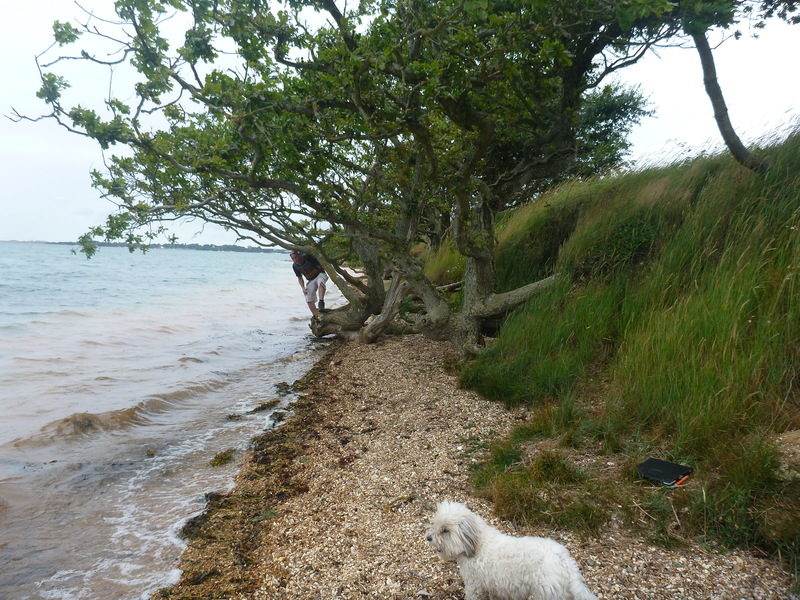 At Cobnor Point we climbed a few steps back up to a higher path. 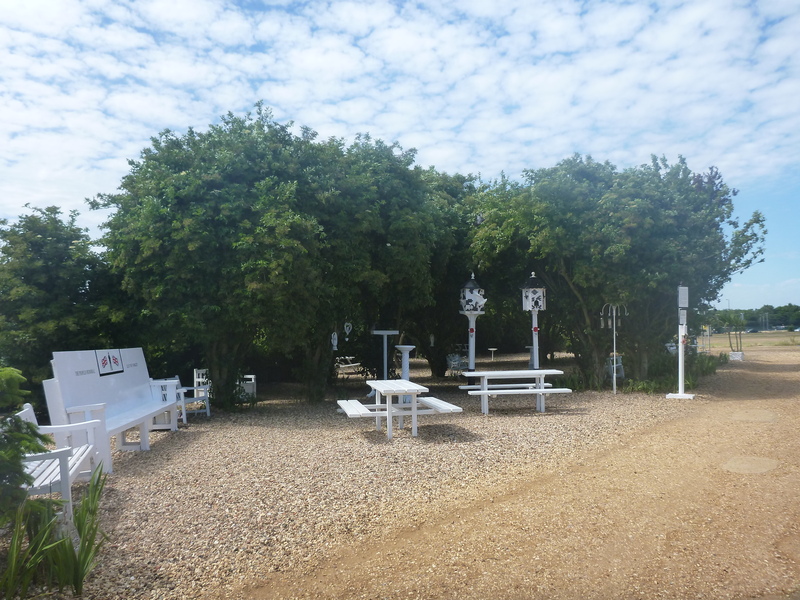 This path was made as an accessible path for people staying at Cobnor Activities Centre and this wide path led us to the centre. Cobnor Activities centre is made up of two organisations that provide a residential camp site and dorms for young people to take part in outdoor and sailing activities, we saw many youngsters kayaking and trying to cross the water on rotating poles, certainly looked good fun. 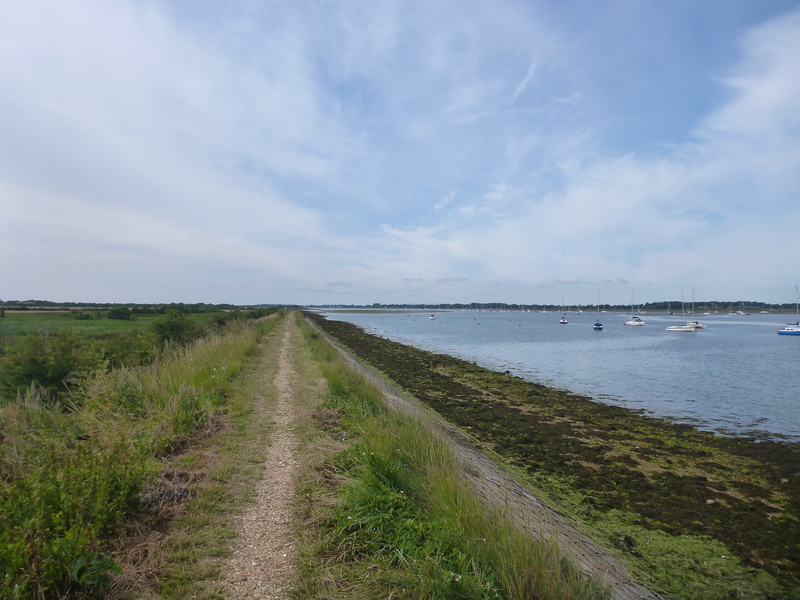 The walk from Cobnor was very scenic with views across to Itchenor and Bosham, of which i would be covering on the next leg. This part was also very tranquil and all that could be heard was the lapping of the waves on the shore, the seabirds and Susan saying that ‘Map my Walk’ was saying that we had covered nine kilometres and that i said it was a ten kilometre walk yet Bosham was the other side of the channel, so i turned the sound down so that she wouldn’t know when we had reached the 10k mark, in case she refused to go any further………lol. The path continued taking us through Chidham and up to the main road A259 where we had to walk a short stretch before dropping back down to Bosham. It was raining now and had to resort to getting the waterproofs out. 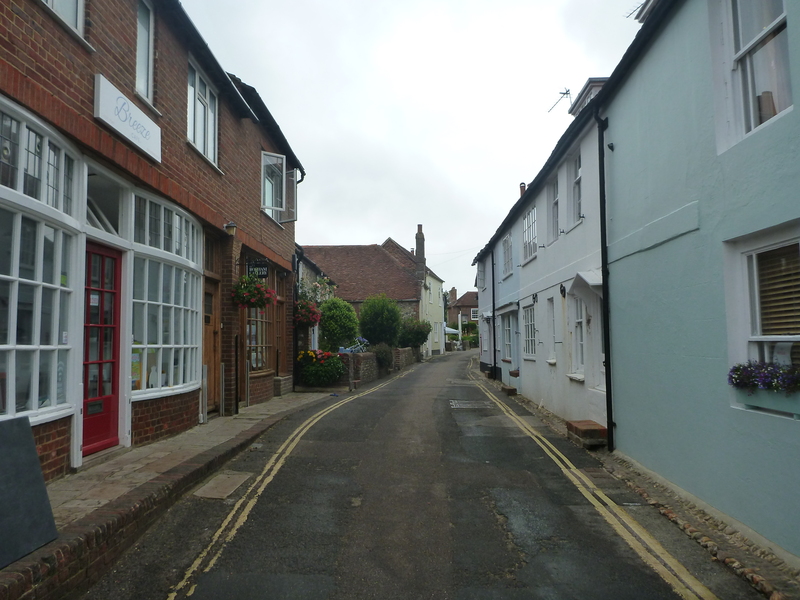 Our day was to finish at Bosham which is a very typical harbour town that has a small art and craft centre, which is a cornucopia of different shops selling all sorts of very good art from sculptures to paintings. 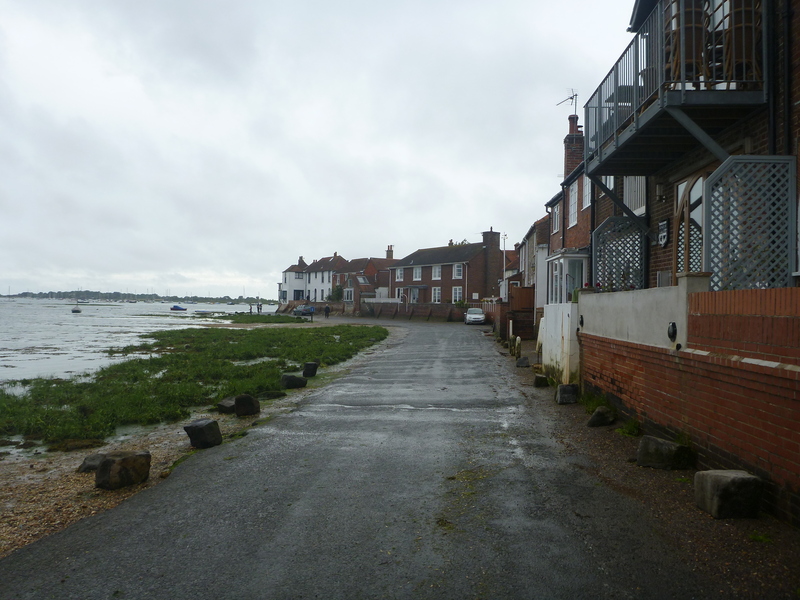 The quayside at Bosham has a road that floods at every high tide a cafe and a pub with great views across the harbour. Technically today we (Cookie & I) will be progressing along the coast by a few kilometres, yet clocking up nearly 18km on the boots as we will be venturing around Thorney Island. On leaving St Peters Square in the centre of Emsworth we followed the High St out of town to Slipper Mill Pond, where we walked on a causeway to the Emsworth Yacht Club and marina, an opportunity could have been had here to stop for a coffee at the Deck Cafe as it commanded great views over the marina, but decided to carry on as i had only just started. The marina also had some deck houses which were built in the 60’s and raised up on stilts, i’m sure that they were all used as holiday homes but looked really unique. 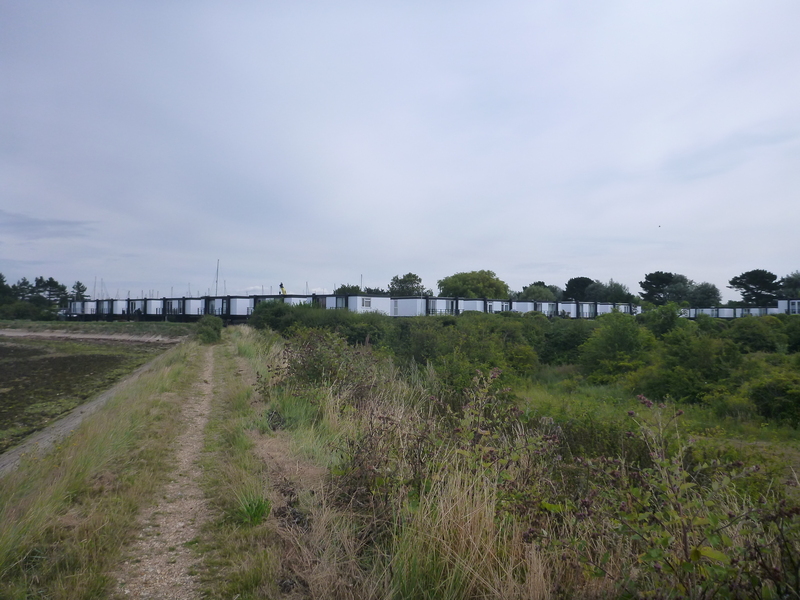 It was a long straight walk down the western side of Thorney Island before you get to the security fence, i had fingers crossed and was hoping that we would be allowed to pass through as this leg was so crucial in my completion of the pier to pier trek. 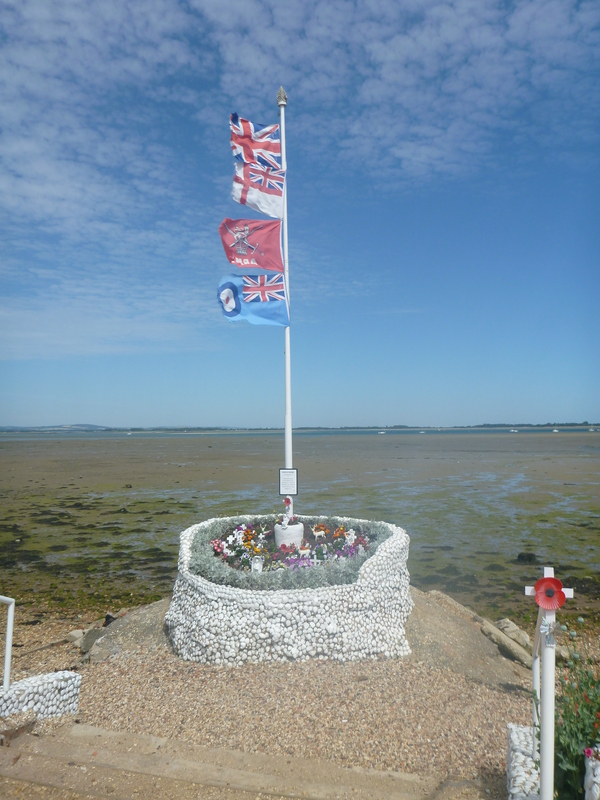 Thorney Island is a military base and has been since 1938 where an RAF airfield was built, today it is occupied by the Army. On approaching the security fence and gate you are watched by many cameras. I pushed the gate and it was locked, there was however an intercom/help button to press, so i pushed it and waited. I stood there thinking that i can’t look like a threat with my hike boots, map and fluffy dog, after a few seconds there was a big click and the lock was electronically released on the gate, i pushed and it opened, yippee i can continue the walk, however it was paramount that i stuck to the path, i didnt fancy being chased by the frequent large guard dog patrols. The walk was very remote along the western shores of the island and i saw no one until i reached the southern side, where people were fishing and flying model aircraft. The path had been raised up almost like a small dyke keeping the sea at bay, the path dropped down when we reached Pilsey Sands which is a nature reserve on the southern most tip, the public are not allowed onto Pilsey sands, but there is a lovely tranquil beach here that you can access, there was only five other people on the beach and across the water was East Head at the Witterings which would have been far far busier. From the sandy beach here we head northwards on a windy path through the reed beds and across some plains on which what looked like Samphire was growing, the path from here and up to West Thorney was shielded by some very tall hedges so the views were a little limited up to the village. 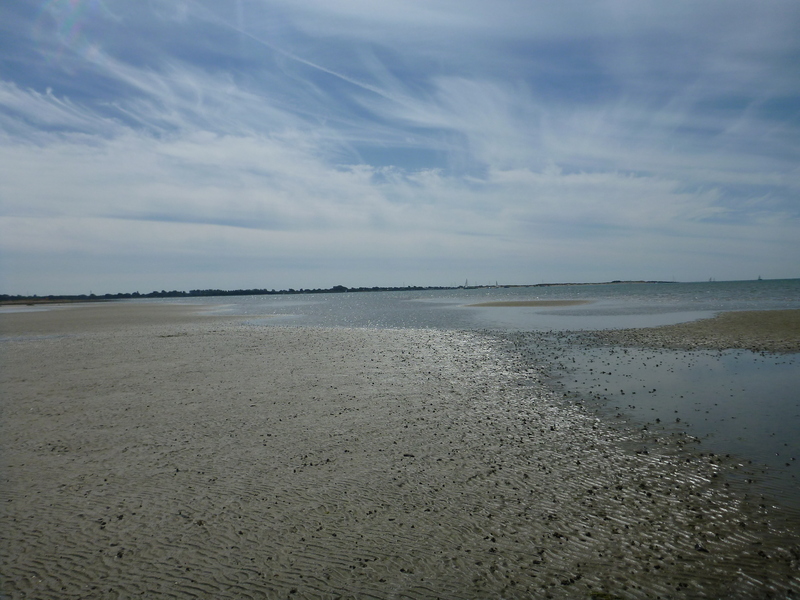 West Thorney is on the East of the Island (didn’t seem to get that!) 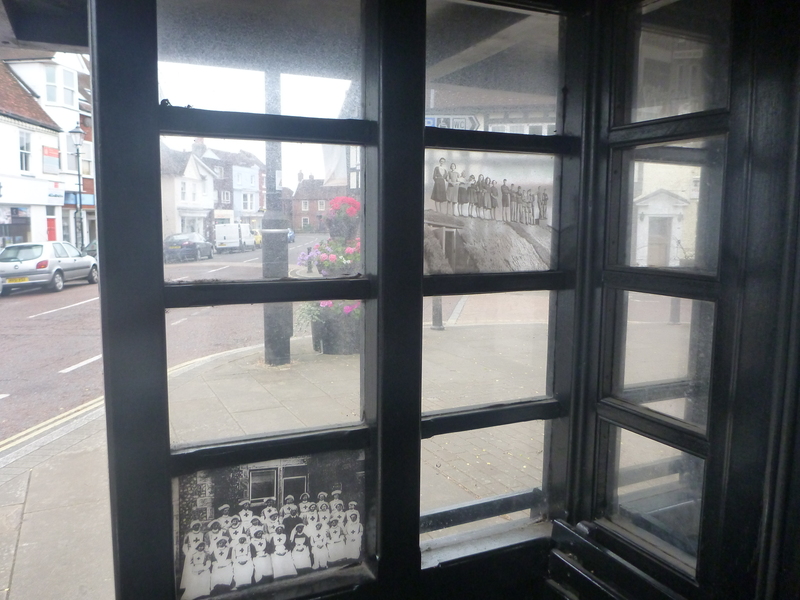 consisted of some houses a sailing club and a church called St Nicholas, all of a sudden the tranquility of the rest of Thorney certainly stopped here as it was a hub of activity with children playing in the grounds of the sailing club and many people pulling their boats in and out. 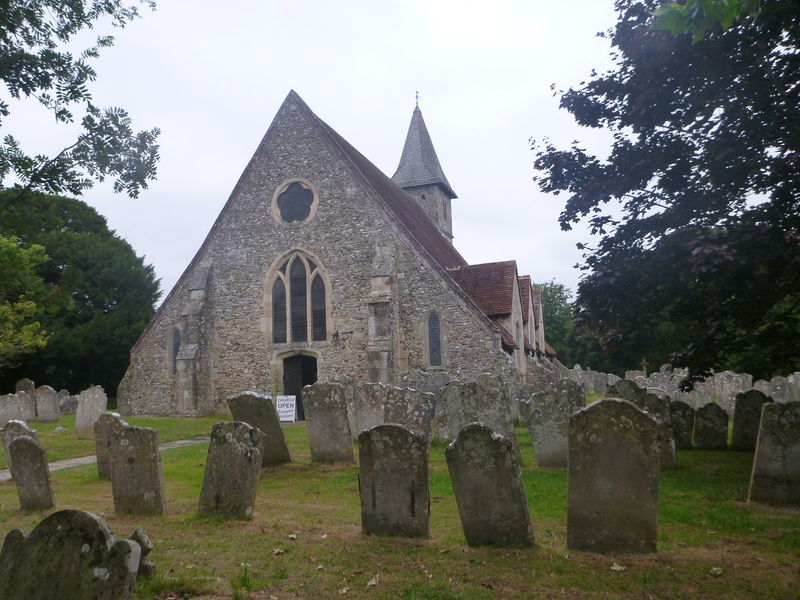 The church’s graveyard had many many headstones depicting that those buried here had served in the forces. The path at the church drops very low and is not passable when the tide is high. From West Thorney we headed north along the path that was once again raised up above the water on one side and the land on the other and was quite straight all the way up to a very small inlet called Thornham Marina, apparently Chichester Harbour’s best kept secret place to moor your boat, it was quaint with some of the pontoons looking very homemade. Just along from here i arrived at Prinsted. A lovely coastal village with some very prestige houses in. I stopped here and had an ice cream that was being sold by the sea scouts as their HQ was right on the waterfront, what a fantastic fundraiser for them as they were also selling teas and coffees too, a very successful venture if i may say as there was lots of people sitting here enjoying the sunshine. From Prinsted it was a short walk along the harbour to Nutbourne, quite a few people were also enjoying this stretch by taking their post Sunday lunch stroll along here, i must say it was certainly beautiful. My day’s trek was to finish up at a bench on the shoreline that was placed there in memory of an actor, but unfortunately i cannot remember who it was, so annoying. 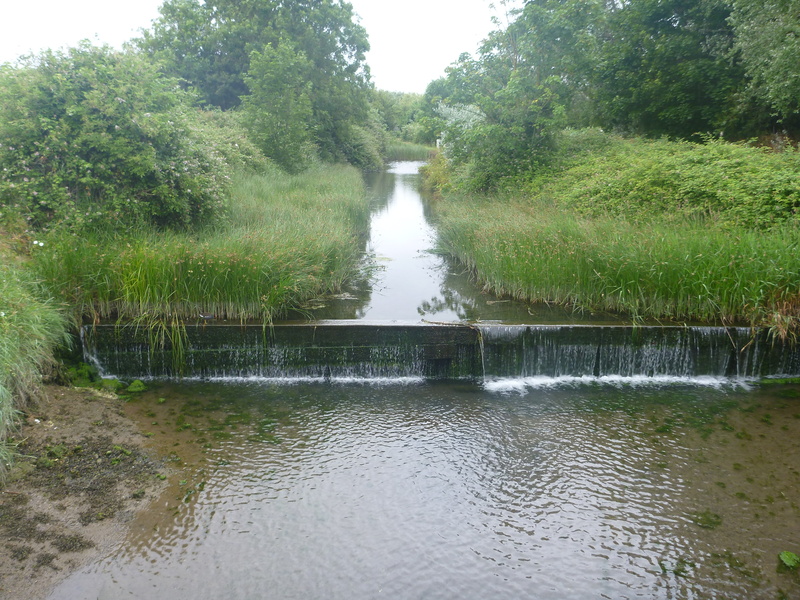 A short path inland from here takes you to the village of Nutbourne. Today is a short leg to achieve another milestone on this journey and finish the solent way, its a good job that it’s short as the weather is not so kind today with a bit of drizzle in the air. 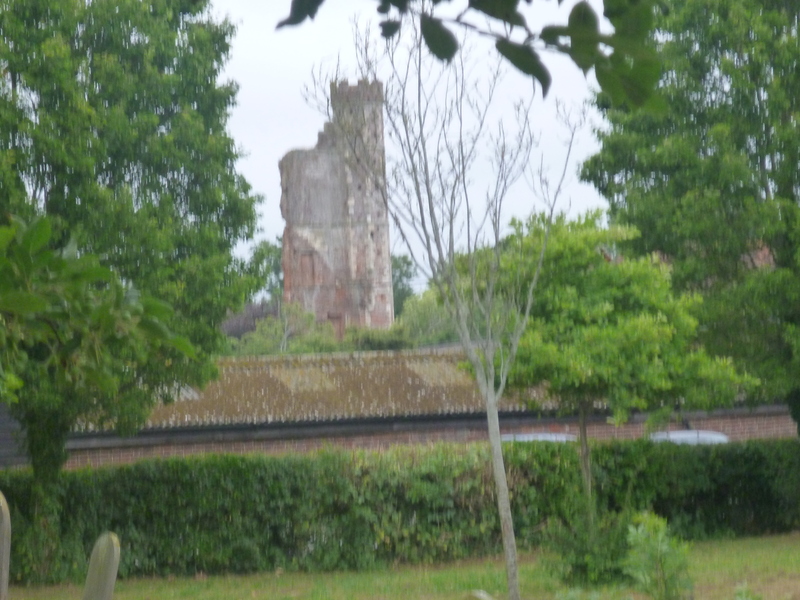 Brockhampton is now an industrial suburb of havant that has a few surprises, there was once a mill here that was recorded in the Doomsday book. 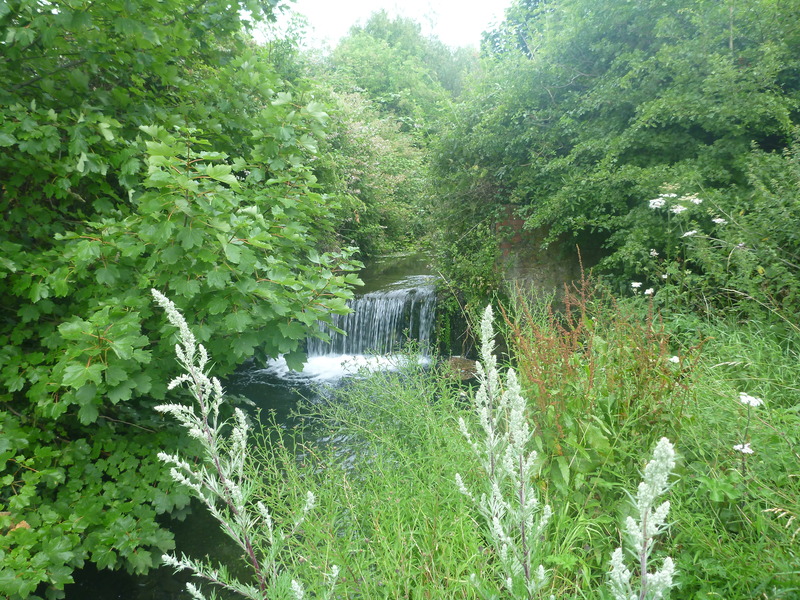 The brook that runs through here is so beautiful that you would think that you are in the countryside, yet you turn the corner to more industrial works. 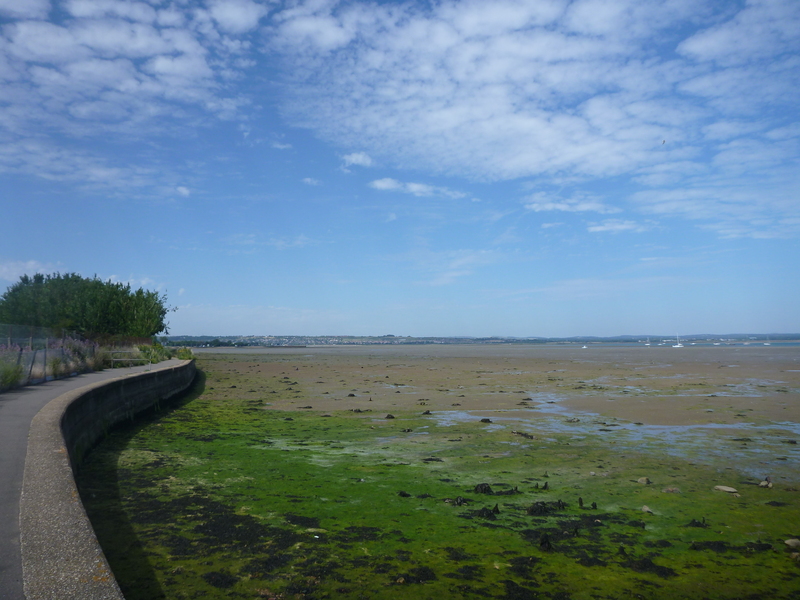 The coastal path from here now follows Langstone harbour around to the bridge that links Hayling Island to the mainland. 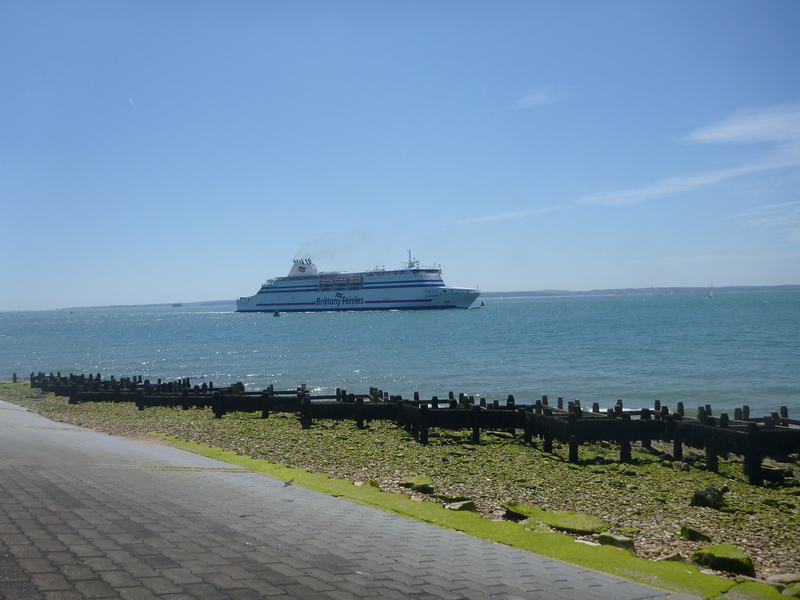 The Solent Way crosses the main road here with lots of holiday makers heading on to Hayling Island. 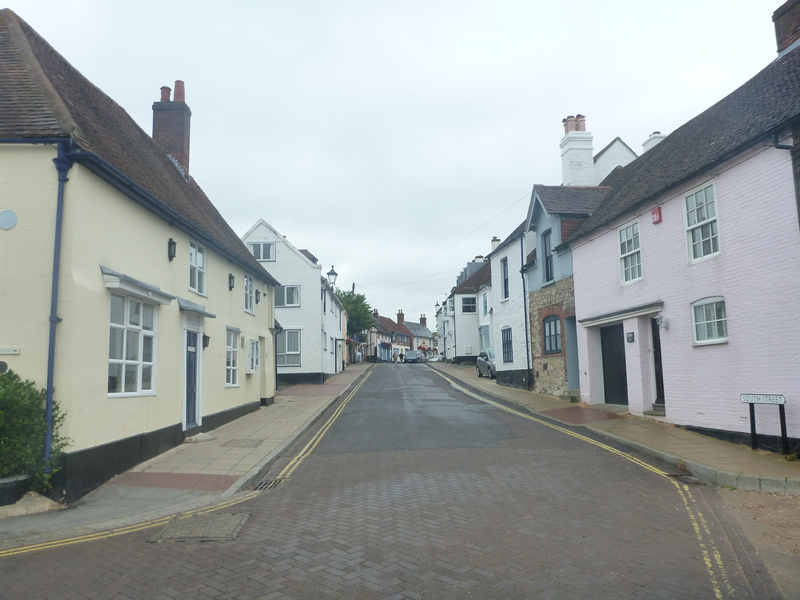 On the other side of the road we walked down Langstone High Street, this was like taking a step back in time with the many 18th century cottages and a pub called the Royal Oak which over looks the harbour. 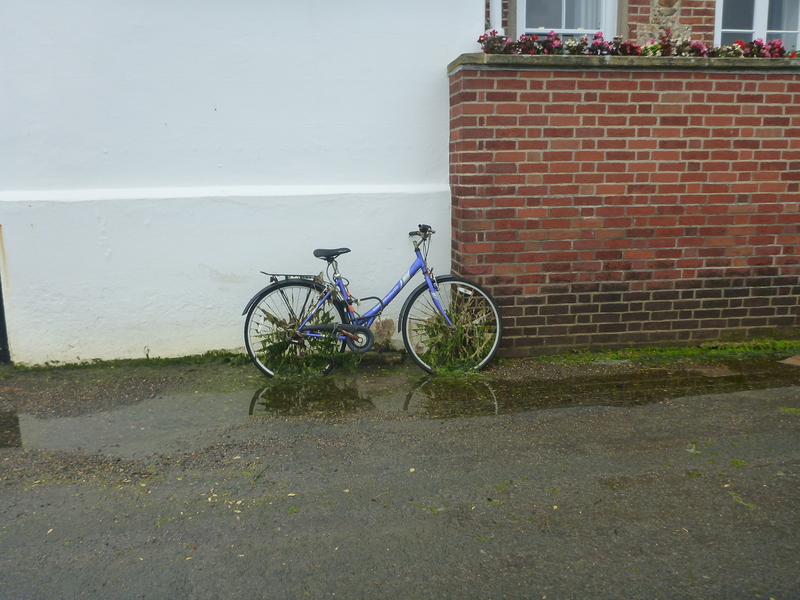 Part of the High Street on a very high tide is prone to flooding and evidence of this can be seen by the boards fixed on the street door to stop any water getting in. 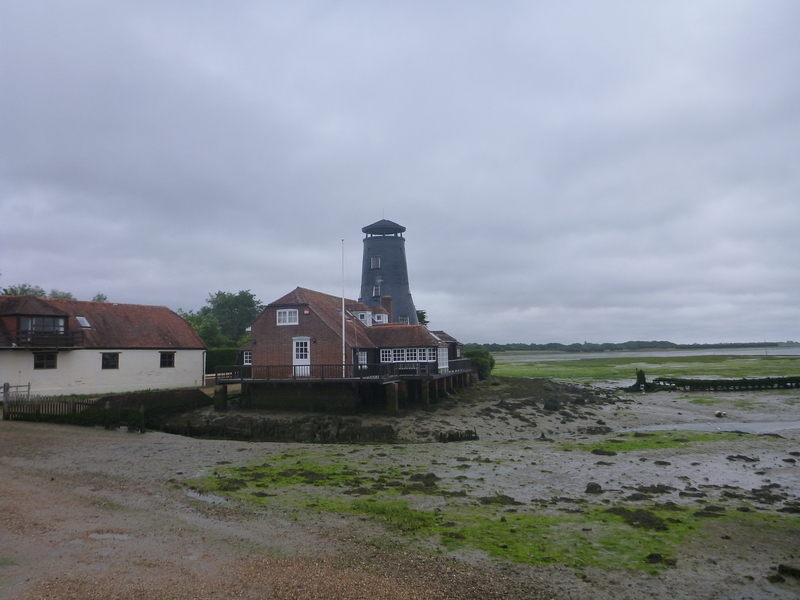 We then continued on the harbour wall and walked past the old corn windmill that was built in 1730, the mill is a key local landmark that you will see in many photos and pictures. 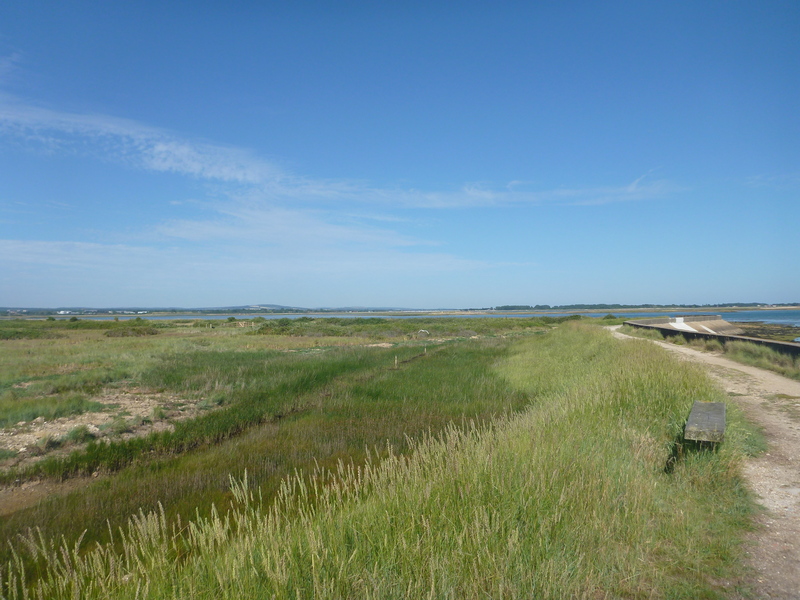 On leaving Langstone village the harbour side finishes and the path drops down on to a tidal footpath through to Warblington, so lucky we timed that right with the tide out. 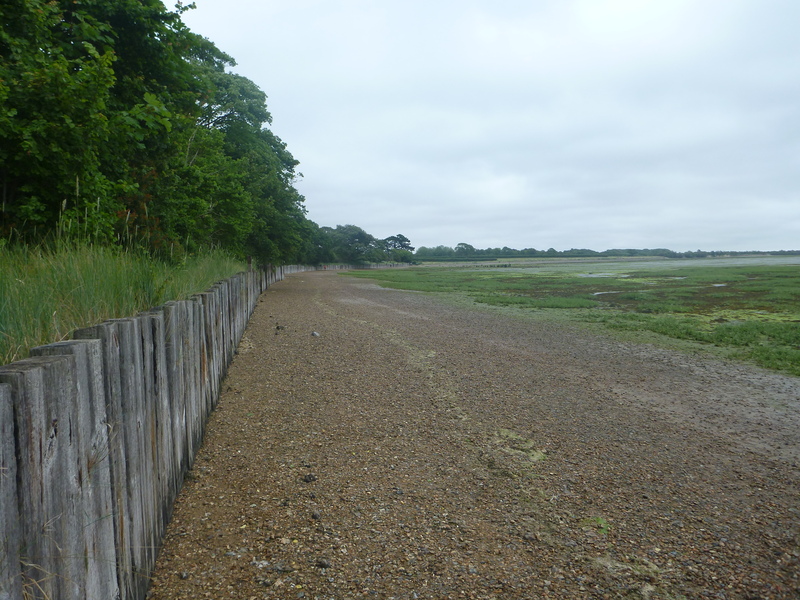 The sea defence here is made of old railway sleepers and is doing a good job in keep in the land back and the tide out. At Warblington the path left the wet slippy shore and headed inland a little passing through the cemetary of St Thomas a’ Becket Church; which has been here since the late 12th century. At Warblington the remains of the the gate house can be seen of Warblington Castle which was once a splendid, fortified house and the setting for some of Englands most important families and the political games that they had a part in. 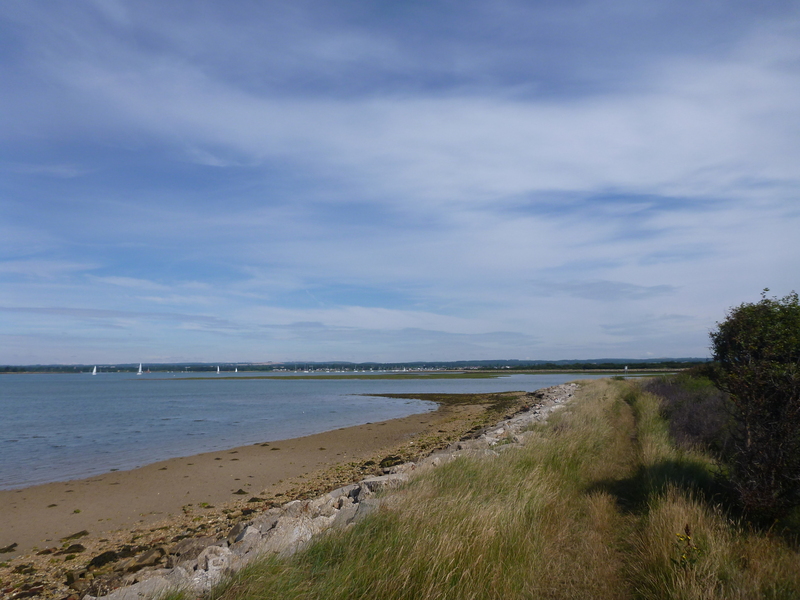 The Solent Way leaves the coast a little here and heads passed a field before returning to the shoreline at Emsworth. 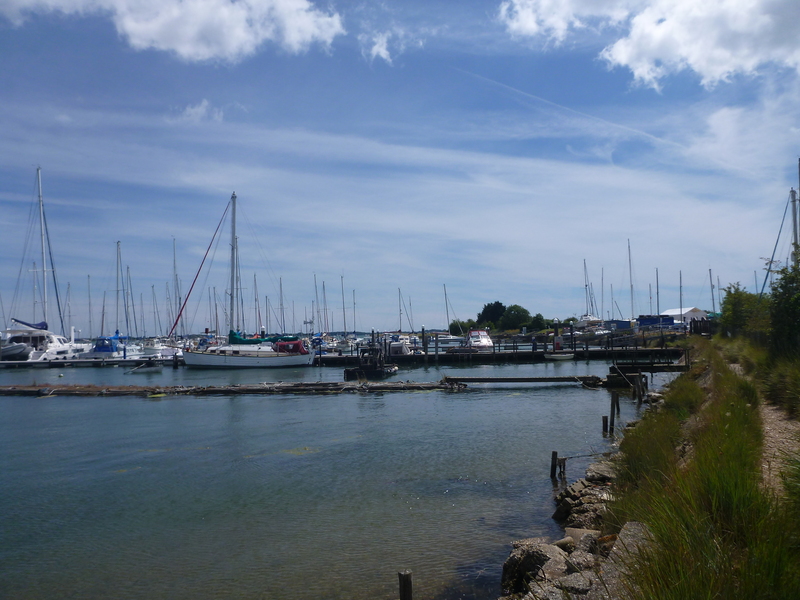 The final leg of the Solent way is along a promenade past Mill Pond; a wall that was constructed in the 18th century with gates to keep the tidal water in at low tide, allowing the merchant vessels to unload. 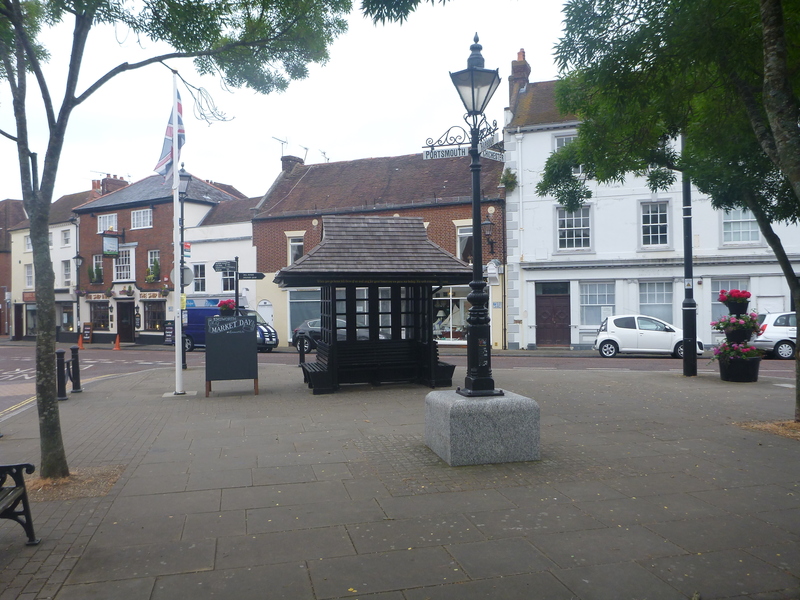 The promenade then meets the quay side at the end of South Street and a short walk up this road takes you to St Peter’s Square where the Solent Way finally ends. 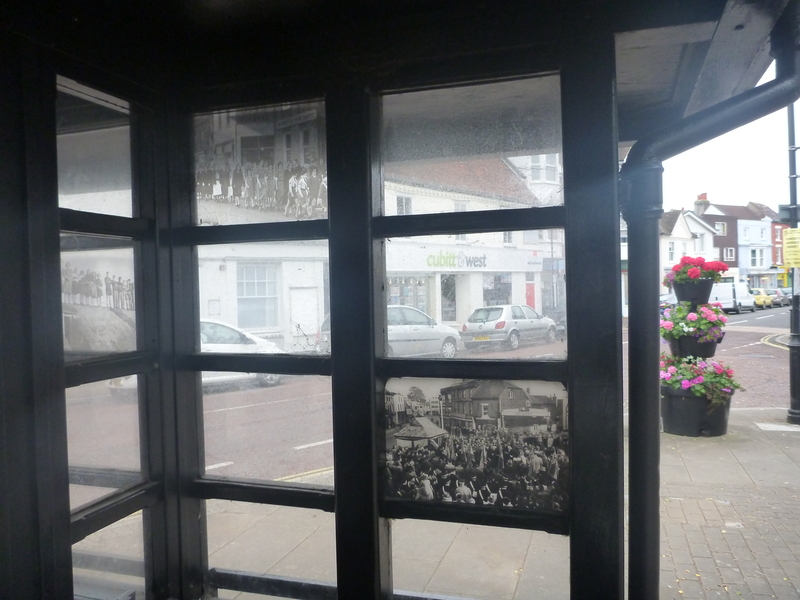 St Peter’s Square in Emsworth houses an amazing bus stop that is paying tribute to families in the war and can be seen by the photos that are printed on the glass. It’s been a while since my last Blog and also since doing the previous stage of this trek, life is so busy and for this stage i needed a whole day to complete. 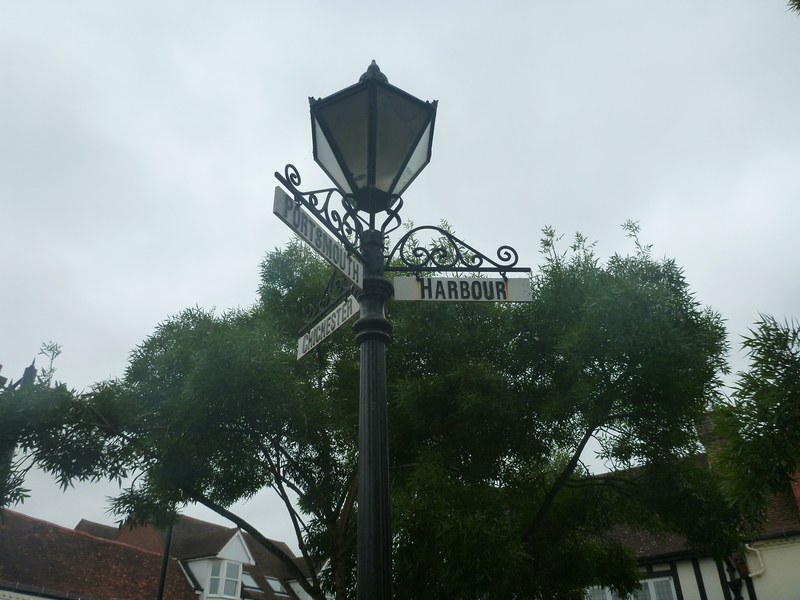 On alighting from the train at Portsmouth Harbour it was straight into the walk and into Gunwharf Quays, a big outlet village of brand name shops and restaurants right on the harbourside, great place to shop. From here we headed through the fishing harbour of Old Portsmouth with the distinctive smell of fish, here they have a fish market open every day and is open to public and trade. 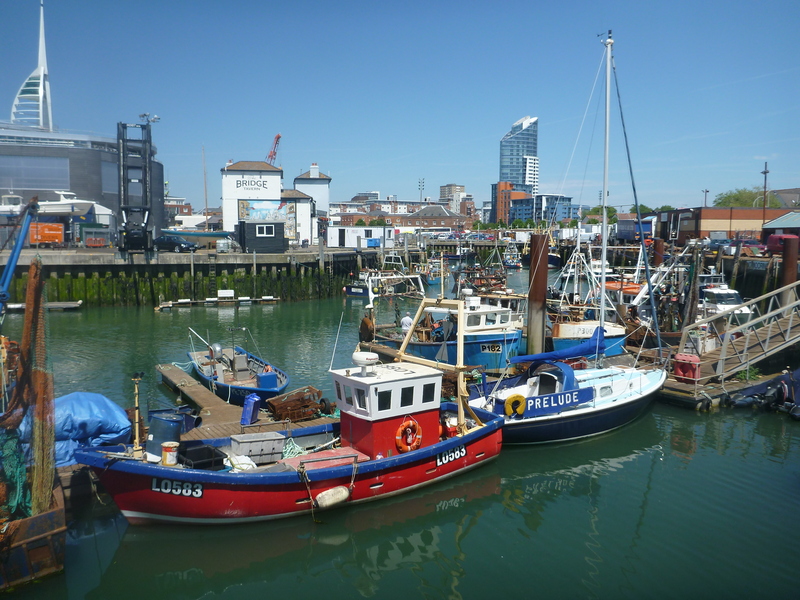 The fishing boats can be found moored up in this small harbour with the ultra modern architecture of Gunwharf as the back drop. 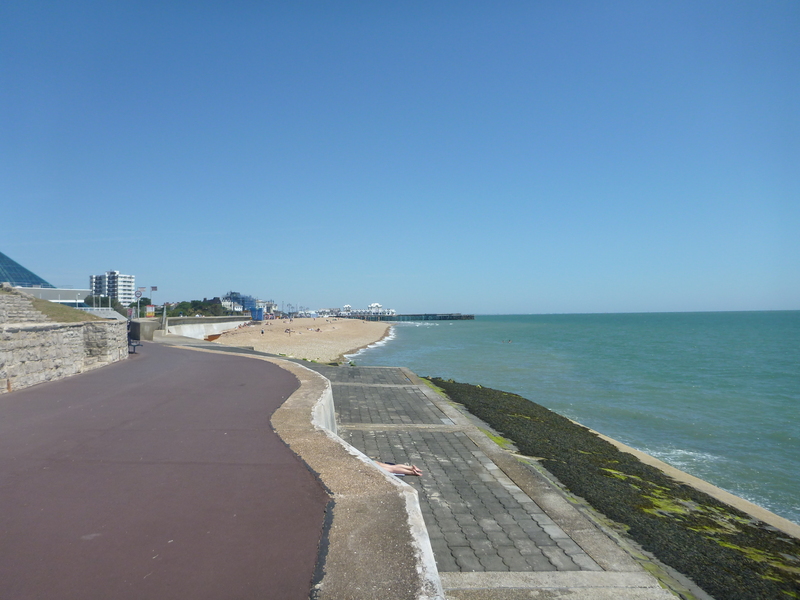 A quick dash through an alley and i was at the seafront, the next 6 km will be walking along the promenade right the way to Eastney. The first part passes by Old Portsmouth with it’s cathedral and old historic buildings and soon leads us to Clarence Pier built in 1861. Not really much of a pier as it does not extend out to sea but goes along the shore, it is mainly a funfair with amusement arcades, with the smell of candy floss and fish & chips. This was bustling with tourists as they enjoyed the traditional fayre and looking pastey after coming off some of the rides. Next to Clarence Pier you can catch a Hovercraft across to the Isle of Wight, this is the only passenger operated vessel in Britain and has been doing this crossing for 50 years since 1965. It’s always impressive to see it come of the sea and up the ramp to land. The walk east along the promenade had the common to our left and the Solent to our right, with all sorts of vessels going to and fro, Isle of Wight ferries were ploughing through the smaller yachts, occasionally blasting on their horns, two cross channel ferries also came and you can often see Royal Navy vessels excersing and patrolling these waters, but none for me today. Portsmouth is one of Britains major Royal Naval bases. The beaches were busy with people soaking up the warm rays of the sun, some braving the cold sea and swimming. 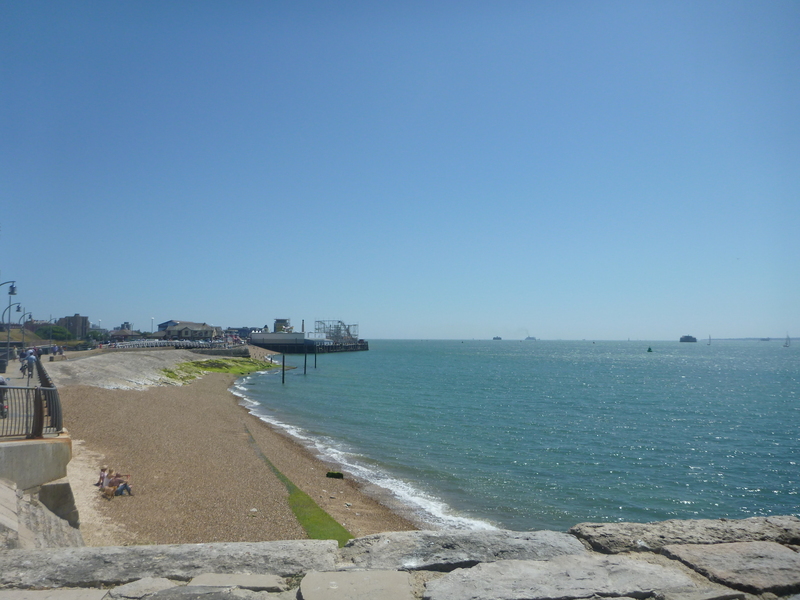 We walked past the D-Day Museum and on to South Parade pier which was built in 1875 and has quite a varied history. 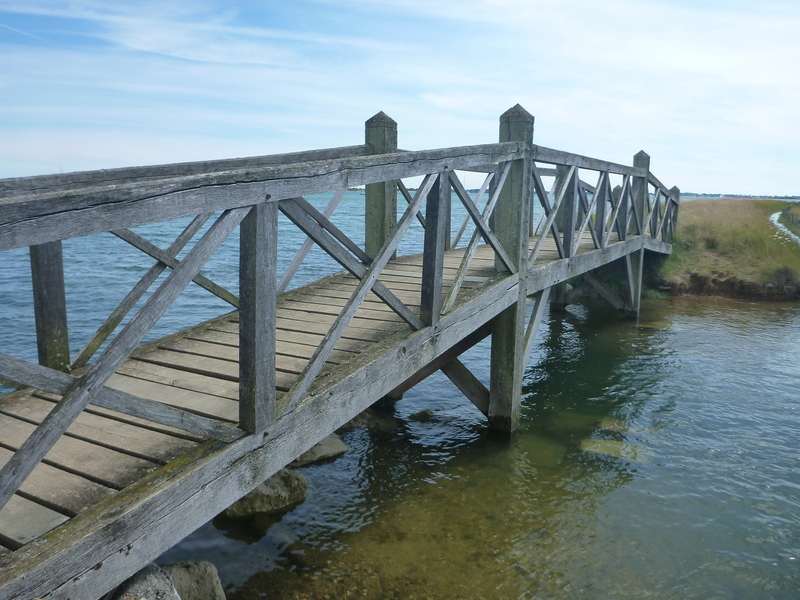 From this pier and on to Eastney the seafront tended to quieten down a bit and unbelievably i bumped in to Naomi my choir teacher, incredible, it was good to have a catch up and meet her son too. 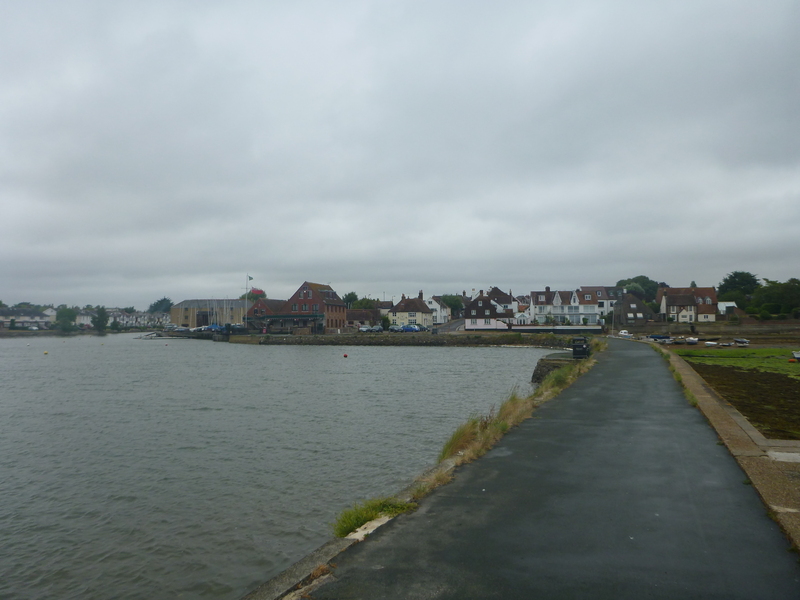 The promenade continued to Eastney where we had to turn inland through some housing estates and before joining the path running up the western shores of langstone Harbour. The path from here was to follow the line of the Eastern Avenue out of Portsmouth. The first part of this path which is also called the ‘Portsmouth Coastal Highway’ was quite quiet as it was away from the road and after a short while walking i came across the peoples memorial that was set up for the citizens of Portsmouth to have a memorial to all those that have fought in the wars, all the tables and benches were painted white and it was certainly a peaceful place. 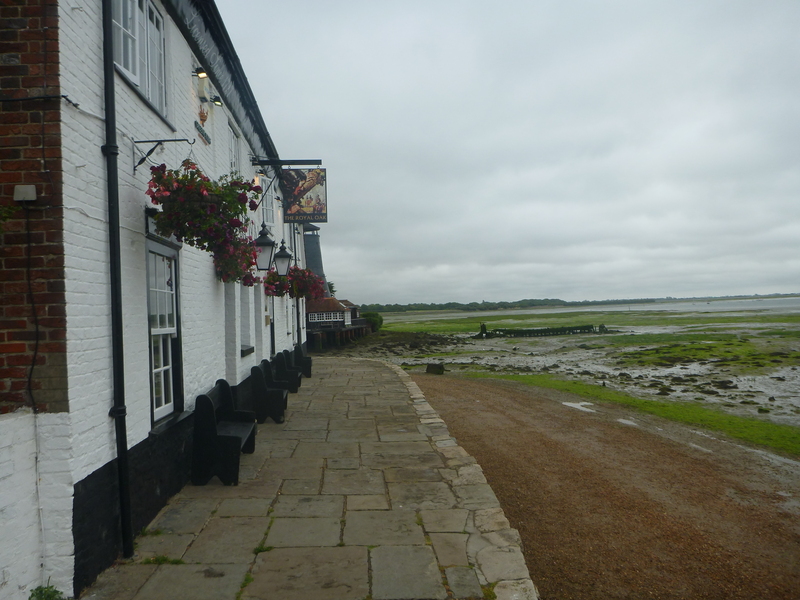 It was quite a long stretch walking up this side of the island so a welcome pint in the Harvester was certainly called for before leaving the peaceful shores where the tide was beginning to lap to the road bridge that will take us off the island. 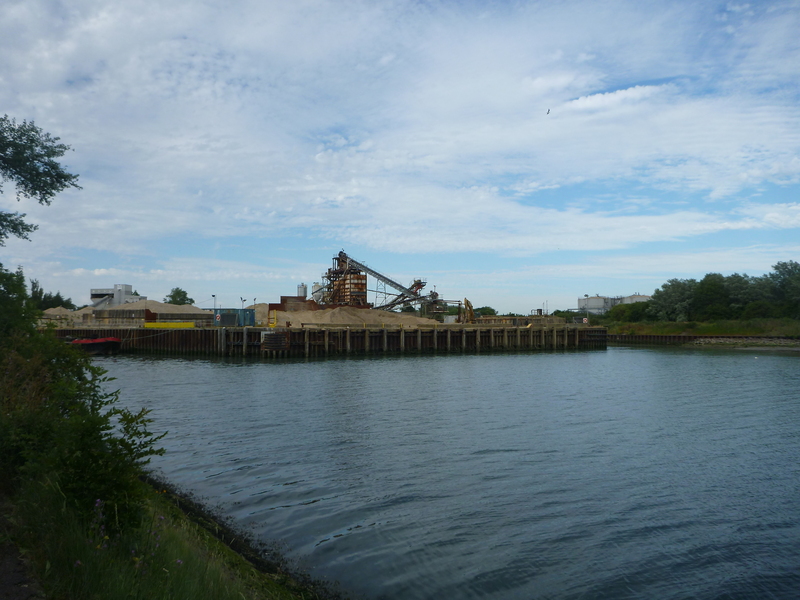 This was a noisy but necessary section and after crossing the bridge we had to follow part of the motorway before we could head onto the farlington marshes. This was quite a noisy section as it was a Friday rush hour. 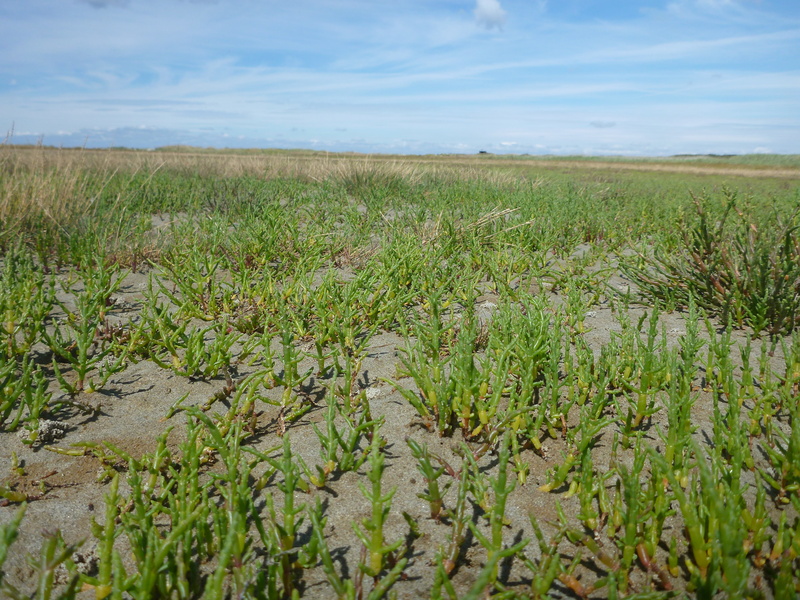 It was a really hot day today and all we got left to do is the Farlington Marshes, sounds easy, but don’t underestimate how far around it is, particularly after a long walk already. However as soon as you walk south away from the motorway it becomes a really tranquil place, with only the slightest hum from the road. 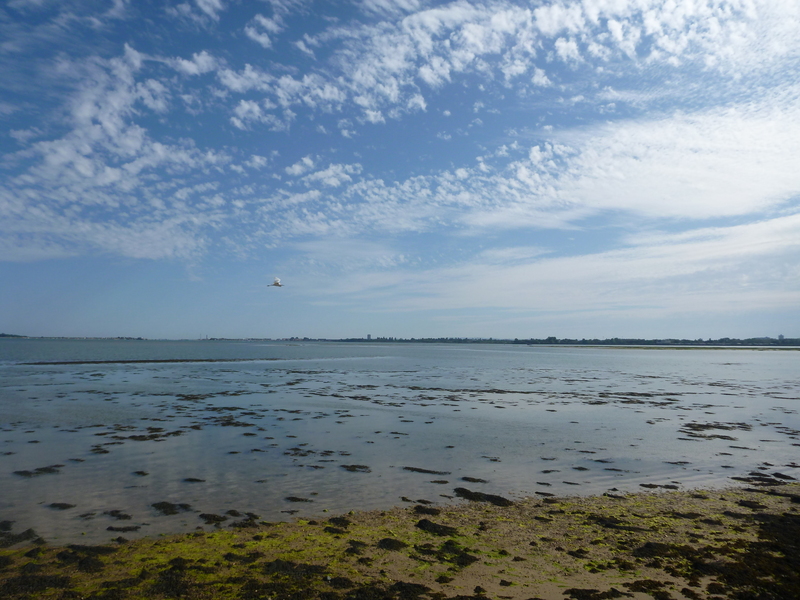 We saw a beautiful Little Egret fly up out of the marshes and circle around us before landing further up the path. After walking around the marshes we are met with the road again for a short while before the last little bit around the harbour to Brockhampton. 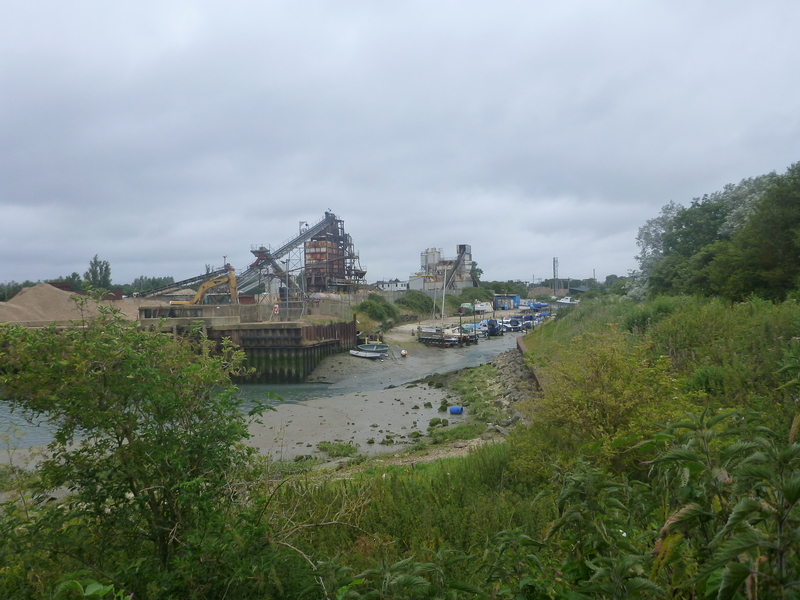 What a contrast here as one minute we are on a track with beautiful coastal scenery and then you turn a corner and meet an industrial site shovelling gravel around.